Having a broken garage door means more than just having an unsightly problem. At Action Garage Door, we are all too familiar with the threats that a malfunctioning or damaged door can pose. 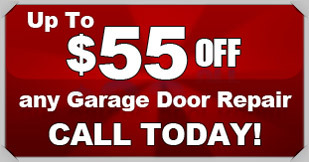 For efficient and lasting garage door repair in Spring Valley Village, you can count on our team. We use high-quality products and craftsmanship to ensure your door is working properly and will last for years to come. With decades of experience working with residential and commercial garage doors, our staff has the knowledge and expertise to quickly diagnose your issue and resolve it. We even offer emergency repair services. There may be some situations in which your door is beyond repair. In those circumstances, we can assist you with new door installation, and all of our projects are always up to Spring Valley Village building codes. Why Fix a Broken Door? Obviously, a broken garage door can be extremely inconvenient. You may have to park your car on the street and deal with the weather elements. Additionally, a damaged door can also attract thieves who see an easy way to access your property. Rodents and critters can also creep into your living space through a broken panel. What’s more, garage doors serve as insulation for your home or business. They are another level of protection that prevents hot or cold air from entering your space. Therefore, timely garage door repair can keep you comfortable and your utility bills manageable. Each of our technicians is certified to perform your garage door repair in Spring Valley Village. Our team members are required to pass a background check. To get the services you need from someone you can trust, please call us today to schedule an appointment or contact us online.